Patsy Brown passed peacefully on May 11th with her son, daughter, loyal pups and very close friend, Alfie, close at her side. Patsy passed away through normal causes, after a long life filled with travel, the arts, ballroom dancing, PEO, bridge, golf and a loving extended family. Patsy was originally a Texan, born and raised in Midland and with relatives and a Texan influence derived from throughout the State ~ Coleman, Brownwood, Austin, Abilene and Longview. Patsy was the daughter of Col. Patrick R. Warren (Pappy) and Ima Gray Woodward Warren (Mimi). Col. Pat Warren led a distinguished career at the Midland Air force Base as Provost Marshall and at Fort Benning, GA. Patsy’s loving sister, Nonnie Simpson, passed away prematurely in 2001. Patsy attended Midland High School and was the distinguished beauty Queen of Catioco, the annual (C)attle, (O)il and (C)otton festivities. Patsy attended the School of Architecture at the University of Texas, Austin, TX and was a member of Kappa Gamma Gamma sorority. Patsy made a big transition for a country girl, from West Texas to Kansas City. Joseph (“Joe”) M. Clark was visiting Coleman, TX, then site of the Warren residence. Joe was managing the construction of nearby Hordes Creek Reservoir. Joe was a then-recent WWII veteran of the Army Air Force, and was living on-site for List & Clark Construction. Lunching at The Coleman Hotel with his engineers, he caught Patsy's eye, and covertly learned at Rudolph’s gas station that she lived at home with her Parents. Joe visited the Warren residence and proposed a date. The rest is history. Joe and Patsy were married in Coleman, TX in 1947. 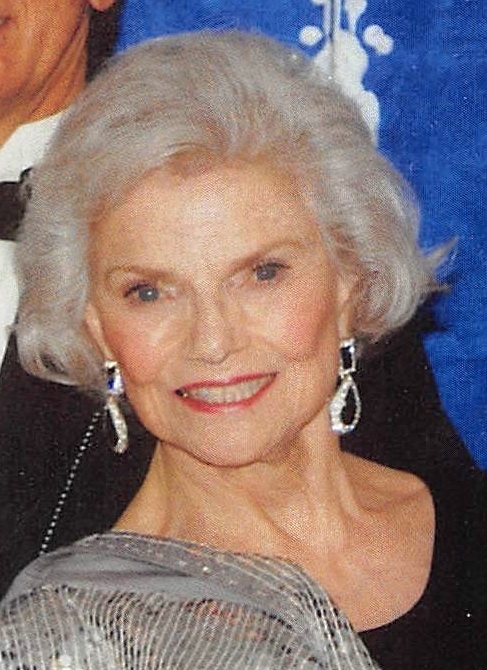 Patsy moved to Fairway, Kansas with Joe in the 1950s where they had two children and thrived with the extended Clark clan. Patsy adored and admired the employees and extended family of List & Clark Construction, as Joe traveled to major construction projects throughout Kansas, Missouri, Nebraska, Oklahoma, New Mexico, Louisiana, Arkansas and Texas. Patsy and Joe were married for 26 years until Joe’s premature death in open heart bypass surgery. Patsy lived a blessed life and later met Robert Surtees Brown, a Kansas City OBGYN and veteran of WWII in the U.S. Navy. Patsy and Bob were married for 32 years. Mainly during these years, Pasty expressed her passions and creativity through artistry in painting and sculpture, and in ballroom dancing. During this period, Patsy and Bob attended The American Ballroom in Prairie Village, KS and from this venue, formal ballroom dancing became a center of her life. Patsy befriended Alfie McKie, a professional instructor and now life-long friend who visited her daily in her later years. Patsy’s art work adorned her homes in Mission Hills, Hallbrook Farms and her place of rest at Brookdale, Leawood. Patsy is survived by her son, John Warren Clark and his wife, Stephanie, of Sonoma, CA, her daughter, JoAnne Carlton of Overland Park, KS, Charles & Ginny Clark and their immediate families, Rob and Annie, her close niece, Reesie Simpson Miller Petree of Midland and Brownwood, TX and Alfie McKie of Prairie Village, KS.